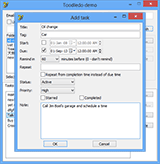 Toodledo Delphi component is a non-visual Delphi component that allows to work with Toodledo online service. 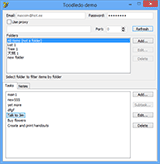 The component supports Delphi 7 and higher Delphi versions and works directly with Toodledo using official API. 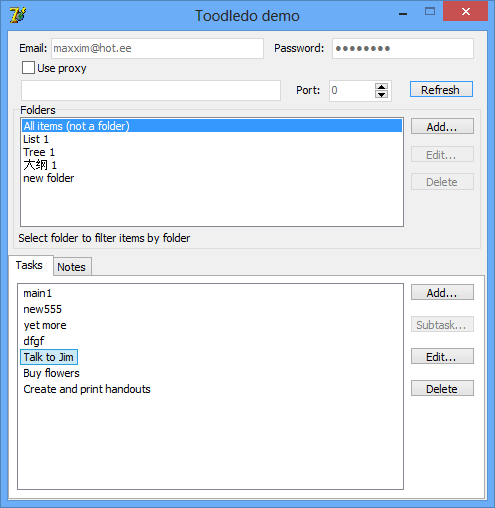 Connecting to Toodledo and showing list of tasks in listbox. Adding a new task "Buy milk" with some notes. 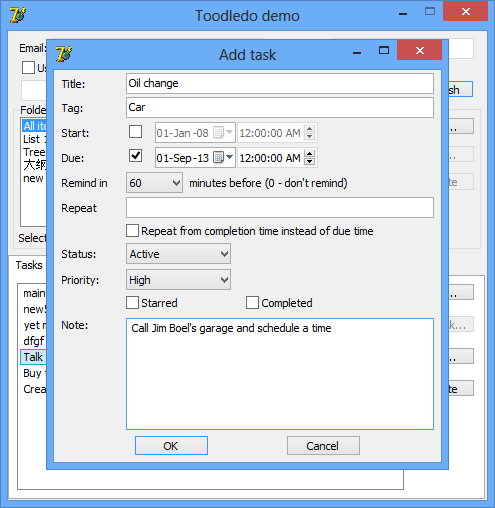 Deleting a task with index number 5.